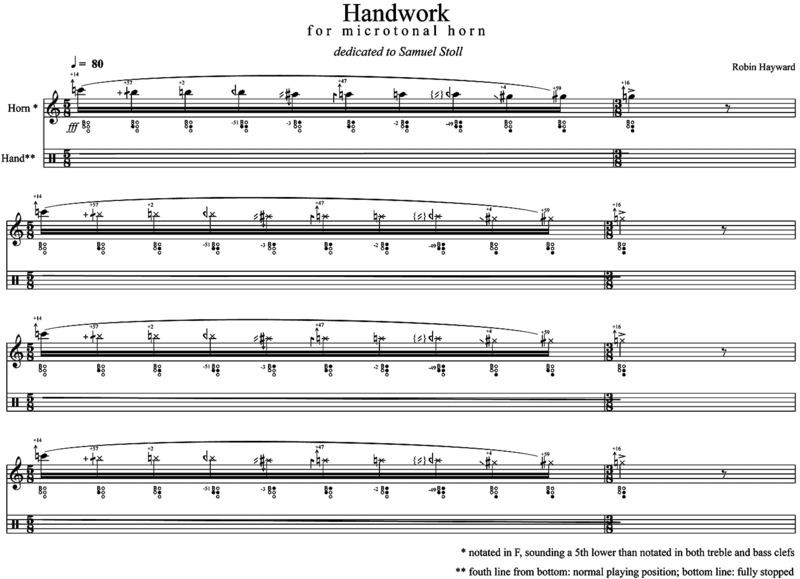 Handwork was written for Samuel Stoll in celebration of his development of a microtonal horn. A repetitive descending microtonal figure is increasingly bent downwards by altering the position of the hand within the bell. Whilst in the higher register this leads to the figure breaking to the next lowest overtone row, in the lower register it becomes increasingly distorted in both pitch and timbre. A fully hand-stopped ascending overtone row on the F side of the double horn provides a counterpoint to the generally descending character of the piece.